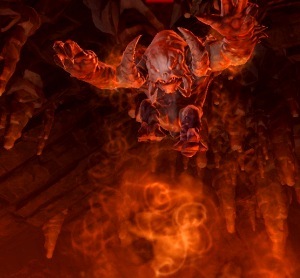 Today’s guild may have humble beginnings, but it has not taken them long to find their niche…killing endgame bosses. Now they are not claiming to be the best or the first, but they do always have a great time as a guild taking on world bosses, PVP or even helping each other with planet heroic quests. Force This never focuses too much on their past successes or failures they keep striving to “create new ones,” as in memories. 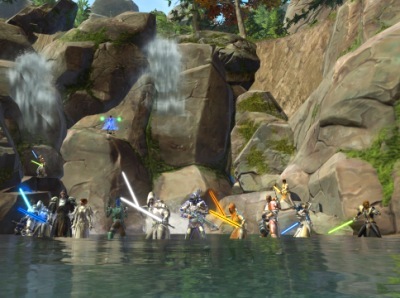 This guild is very down to Earth and stays positive playing a game they love…Star Wars: The Old Republic. How did the guild Force This come together? What led the guild to select SWTOR? We started with humble beginnings on our old server The Jekk’jekk Tar. A few of us found each other and realized our common interest in being successful with end-game operations. With several of us being experienced guild members from previous games, it just sort of came together. As to why we decided to play SWTOR, a lot of us played Star Wars Galaxies and/or Knights of the Old Republic 1 and 2. After hearing rumors about a possible MMO, we had been anticipating this game for a long time. Most of us, being both Star Wars and/or BioWare fans, just made the decision to play this game that much easier. Where is the guild located as far as server and what faction is the guild? Since a few month ago when the transfers went through, we’ve been on The Harbinger server Republic faction. We also have a smaller imperial guild named <Robot House> for our alts and any imps that care to join. Many MMOs focus on the group-play element. Once we reached level 50 we saw that this game was no different, and wanted to get in on the fun. One of the officers in our guild was the GM of a successful raiding guild in WoW whom had played with her husband and brother. All three of them are now playing SWTOR and not only do we look back on fond raiding memories, we create new ones just about every week! With guild focus on endgame progression in Operation, how does the guild strike a balance with more of the casual player in the guild? Should the casual player look to another guild or does the guild embrace all play styles? Although we strive to be successful at operations and end-game pvp, we are a casual guild at heart. We are constantly leveling alts and love to run heroics, world bosses and such with lower level players as well as help them with our level 50 chars. A player of any class or level can join. All that we ask is that they remain respectful to other members. This is a tough question, as there are many things our guild has overcome to continue ops progression. I remember the first time we ever tried Explosive Conflict story mode. It quickly became clear to us that we were not quite ready for it and a few members could use a bit more Rakata gear. For a couple weeks following, everyone was helping out to gear up our slightly under-geared members. People who didn’t even need anything from the raid would attend just to help out. I think that was our biggest achievement in that it showed our selflessness and how we banded together to strengthen the guild, not only the players. We’re now currently working on clearing Explosive Conflict on hard mode in preparation of the new ops, “Terror from Beyond,” which we can’t wait for! So Kephess, when you manning-up & getting a Nightmare Mode? As endgame focused players, what are some areas BioWare could improve on this part of the game? What would be better for endgame from your guild’s perspective, more class story, more Operations, more high level only areas (planet series quests), open world PVP areas or maybe something completely different? What is your current main character? What is its class/advance class? Have you embraced the rolling alt characters? If so do you have several? My main character’s name is Cloudvii. He’s a Jedi Sentinel using the Combat spec. 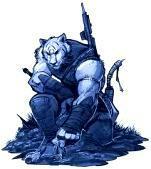 I also have a 50 Gunslinger and Shadow named Manchu and Blueblaze. 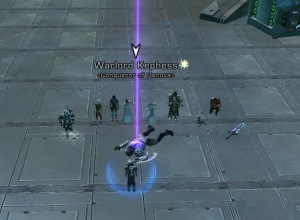 The reason I started leveling Manchu is because our main ops group was lacking on ranged DPS at the time. By the time he reached 50 we had a decent amount of ranged DPS, so I set my sight on a tank next. I’m currently working on a Commando healer but thinking about waiting until the new race Cathar comes out. 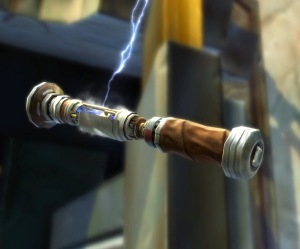 How did Force This feel about the last World Event, The Grand Acquisitions Race, in SWTOR? Would you like to see more events in the game? How does the guild feel about the new Free-to-Play option coming this Fall? What concerns or advantages do you see this being for the game? Free-to-Play is going to be a very good thing for our community in our opinions. We will see a lot of new players coming to the game, who will eventually want to do ops and stuff that you need subscription/Cartel Coins for. With the introduction of Cartel Coins will see a bunch of exclusive items that will be updated quickly to keep up with the demand. We’re looking forward to some of the perks that will be added. Is the guild currently recruiting? If so what classes/advance classes is Force This looking for to join the ranks? We’re currently recruiting all classes and levels. Honestly, personality and skill are more important than what class you are. Any class if played correctly can be a force to be reckoned with. We’re just hoping to get some long-term members that remain active throughout. What steps does an interested player need to take to become a member of Force This? Are there specific people on the website or in-game players can talk to get more information? The easiest way to contact us is to go to our guild’s website. If you like what you see and wish to join, just go to Recruitment tab and fill out the application. Otherwise you could find an officer in-game and send them a message. Officers are Cloudvii, Manchu, Jasinius, October, Mendoni, Rusty or Firewolfy. Thanks to all the members of Force This. I appreciate them sharing their thoughts and letting us learn more about their guild. I would also like to thank their guild leader Cloudvii for all the correspondence and help with this article. That’s it for this week’s Community Checkpoint. If you are looking for a guild that likes to take down the endgame bosses and have a good time doing it…I suggest you give the guild Force This a try. Would you like to see your guild or have your server event highlighted here at Corellian Run Radio? We want to hear about it! So if you are an event planner or a leader/member of a guild, why not contact me, so we can share with the community about what you are doing. Just submit your guild/group’s website and some basic information in an email to me at, jason@corellianrun.com. Here at Corellian Run Radio, I am looking forward to highlighting more guilds and the many of you working at planning events, contest, etc. Thanks and see you next week!